We're playing live on air! And in South Australia, and more! Tune into PBS or 3MBS to hear us playing live on air! Plus plenty of opportunities to see us in the flesh, both at home and over in South Australia! Have you missed us? Been a over a month since our last public appearance, but never fear -- there's plenty of great opportunities to catch up just round the corner. Yep, we're heading out west for a show at the Werribee Jazz Club, where we'll be playing plenty of good dance-tempo tunes for those who want to take advantage of the dance floor. BYO food, enjoy drinks at 1983 bar prices, and try your luck in the raffle. Very excited to be making our first appearance at this young festival, now in its fifth year, and by all accounts going from strength to strength. Running over four days of the Queens Birthday Weekend (8th-11th), the festival has a fantastic range of over bands, over 80 all told, in various venues across the town. It'll be a great weekend of music! For more information and tickets, go to castlemainejazzfestival.com.au. Returning to the PJC for the first time since 2014! Grab a group of mates and book a table. Doors open 7:30pm. Free tea & coffee available, but BYO food and drink. Booking is recommended. Call President Harry Daniels on 03 9580 2906 or 0422 657 634 to book or for more information. The first stop on our South Australian tour is not in South Australia, I know, but it is on the way. This was a great night back in 2016 and we're so glad to be doing it again this year! Quality finger food, nibbles and supper provided. Make a table of 10 or they'll make one for you. $35 per person. Enquiries/bookings: Hamilton Golf Club 5571 2644 (9-12 weekdays). We're looking forward to returning to Penola for a show at the Rymill Hall (Cameron St Penola). Enjoy Coonawarra wines, cheese platters (pre-order when you book tickets) and dessert available for purchase as you dance the night away with Shirazz. The night goes from 7:30-11pm, and tickets are available at trybooking.com. And we'll be back in Adelaide for another banging show at the Wheaty! If anything like last year (and the year before) it's going to be rockin'! Doors open 4pm. The Wheatsheaf is on George St Thebarton. Tickets available at oztix -- book now to avoid disappointment! Keep your eye on facebook for all the news as it happens, and hope to see you soon! Can't make it to a gig? 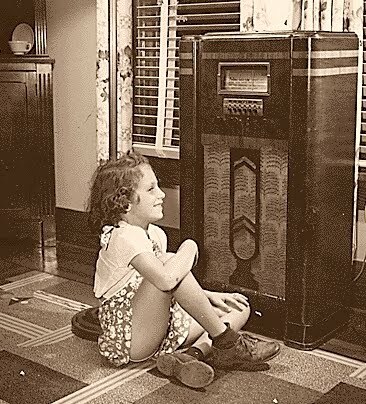 Well just tune in on your wireless receiver! We're doing a short appearance on Tom Sedunary's "Jazz on a Saturday" programme on PBS next Saturday morning (19th) at about 9:20-9:40. Tune in to PBS 106.7 to catch that, or online at pbs.org.au. And we're doing a full set of Shirazz favourites on Peter Green and Peter de Ryk's show "Colours of Jazz" on 3MBS the following Friday (25th), from 8-9pm. You can catch that on 103.5 FM or online at 3mbs.org.au.